Macro Greens is more than a greens product; it is a complete science-based phytonutrient, herbal and plant derived formula. 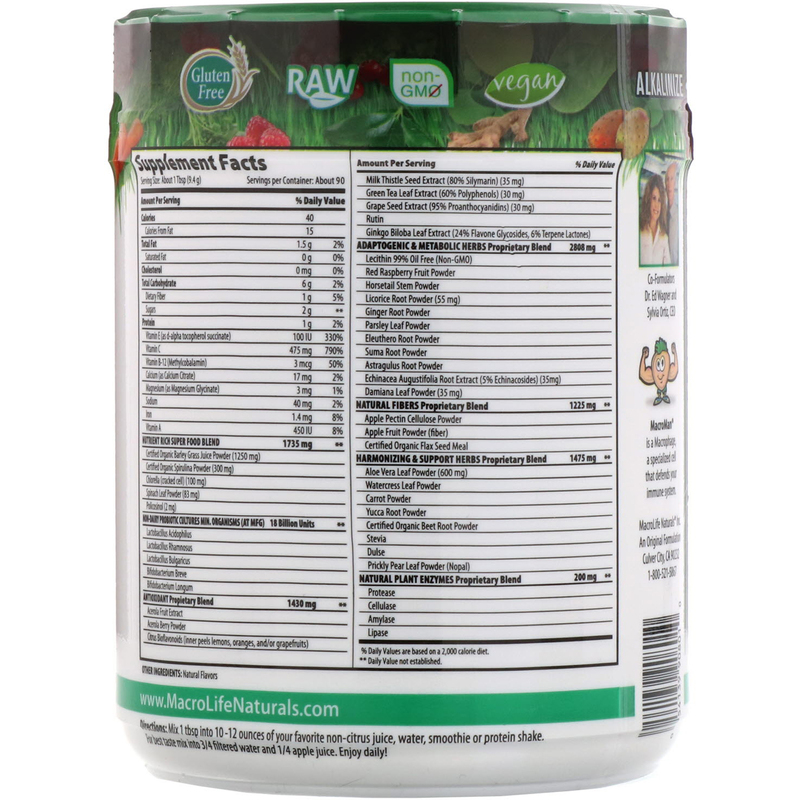 Macro Greens has a base of certified organic baby barley grass, proven to be the most effective and most synergistic of all grasses. 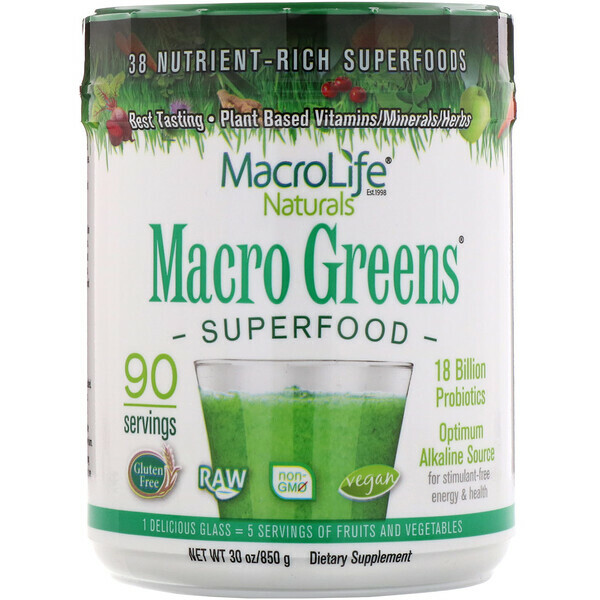 Macro Greens delivers vital nutrients needed by the body's cells to thrive and help achieve optimal nutrition for today's fast paced lifestyles.